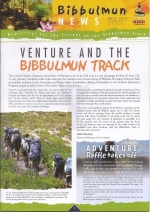 Bibbulmun News magazine is produced three times a year to keep our members up-to-date with Track news, share walker stories, end-to-end announcements, upcoming events and much more! 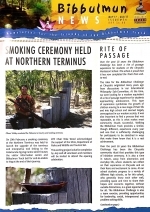 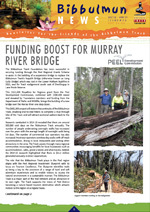 Foundation members receive the magazine as part of their membership package. 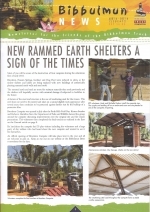 Archived copies are available here. 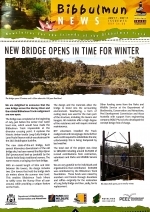 In addition it contains our usual articles on Your letters, Track information, Accommodation tours and services discounts for members, End-to-enders, Getting into gear, Office gossip, Reflections from the registers, Noticeboard and the Social Sunday walks, Eyes on the Ground maintenance program and Track Trivia. 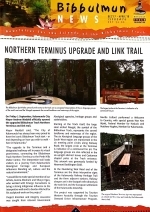 In addition it contains our usual articles on Your letters, Track information, Accommodation tours and services discounts for members, End-to-enders, Office gossip, Reflections from the registers, Noticeboard and the Social Sunday walks, Eyes on the Ground maintenance program and Track Trivia.